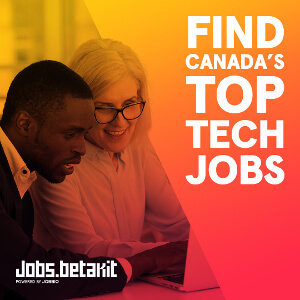 In this series brought to you by StackAdapt, a Toronto-based native advertising technology company, you’ll join COO Vitaly Pecherskiy as he meets with top minds in the marketing and advertising industry to uncover how Canadian companies use forward-thinking strategies and cutting-edge software to break through the noise. 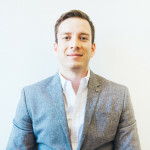 In this installment of Canadian Growth Hackers, Vitaly spoke to Michael Irvine, head of marketing at Logojoy, to explore how marketing automation has allowed the company to scale rapidly. In just 1.5 years, Logojoy has had 2.4 million new businesses use their platform to design logos. (Catch Logojoy doing the demo of their platform on June 19 at MarketingTO). Logojoy’s origin story is a good one! Like many disruptive companies before it, Logojoy was created to solve a problem experienced by its founder. The logo cost the client thousands, and the result (based on their direction) was just the company’s name on a colored background. After that experience, Dawson asked: how can I automate design but in an effective and premium way? So he dreamed up an algorithm that would draw from a library of beautiful fonts and symbols, and tapped into graphic design rules. You’re right – it’s a massive market! Our ideal customers are entrepreneurs who have recently started a new business or side hustle, based out of the US, UK, or Canada. The most encouraging insight we gleaned from this exercise was that 45 percent of our purchasing customers in Canada are women. Currently, only 36 percent of the country’s small business owners are women, so it’s nice to see this trend moving in the right direction on our platform. This sounds silly, right? It’s not. Let’s call your ideal customer Mila. To be an effective growth marketer, you have to care so deeply about Mila that you’re willing to do everything it takes to design an 11-star experience for her (in the vernacular of Airbnb’s Brian Chesky). And yes, part of that is just a matter of smart marketing. Use imagery that resonates with her, use a tone of voice that causes her to take action, send an email at the time of day she’s most likely to read it, know which of your USPs to emphasize above the fold of your landing page, and so on. But it’s so much more than that. 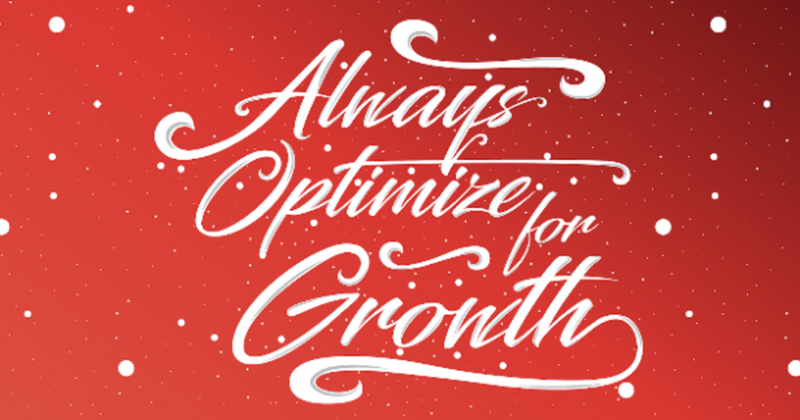 Growth marketing is smart marketing, smart product development, smart customer service and smart operations, all of which tie together to create a flawless user experience. Your day might look something like this. At 10 a.m., during your product meeting, you suggest cutting out two steps of the checkout process to improve conversion rates. At 2 p.m., during your customer success meeting, you might discuss a strategy to use auto-generated video tutorials in your live chat bubble, because you know this will reduce your customer’s average time to purchase. Then at 4 p.m., you might work with your creative lead to massage the concept of your cinemagraph advert, to ensure the imagery and wording of the ad will increase the likelihood that the highest number of relevant people will sign up for an account with you. As a growth marketer, once your company has achieved product-market fit and you understand your ideal customer well, you should arguably devote 100 percent of your time to scaling through marketing automation. Why? Because your resources are limited, and harnessing technology is the only way you’ll have enough firepower to topple the incumbents in your market. It’s shocking how many marketers lack empathy for their customers. Don’t be one of these marketers. Let’s unpack that further. At Logojoy, we spent several weeks working on an email onboarding campaign. Admittedly, this was a painful process for all involved. We needed to get deep into the mind of our ideal customer, to the point where we knew their pain points, objections, and drop-off points as if they were our own. It required lots of back-and-forth on the copy, lots of email template development, lots of illustrations creation, and plenty of subject line testing. Marketing automation goes way beyond email marketing and is relevant to SEO, paid acquisition, chatbots, data analytics, and so much more. At this rate, do you think you could, in theory, automate yourself out of the job? Fortunately for my chequing account, I don’t think I could automate myself out of this job! 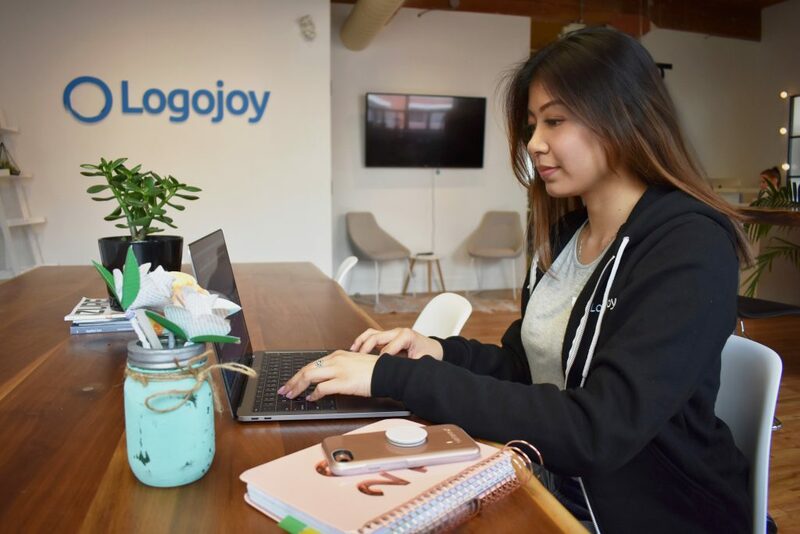 Logojoy’s product will continue to evolve for years to come, and this evolution will require overhauling our branding, messaging, target customer base, and preferred marketing channels. We’re aiming to become THE design platform for entrepreneurs – which will one day include their logo, brand guidelines, website, ads, packaging, merchandise, and beyond. I relish this challenge. As a manager, being right doesn’t matter. What matters is getting done what you need done. In other words, get rid of your ego. Be humble. Let others think they came up with the idea first. 1. Google Adwords Search: No surprises here! We rely on Google Adwords Search for about 40 percent of our website traffic. This seems like a lot, and it is. But when you have a very niche audience (in our case, new entrepreneurs who create a logo during a four-week window), then SEM needs to be your top priority. 2. SEO: we use ahrefs for content ideas and Google’s Keyword Planner for keyword research. Lots of work needs to be put into identifying the right keywords, by looking at search volume, relevance, commercial intent, and competition. 3. Content marketing: we identify medium and long-tail keywords related to logo design and then use freelancers and in-house content creators to produce high-quality pieces consistently. This isn’t marketing automation in the true sense of the term, but it’s about as automated as content marketing can be. 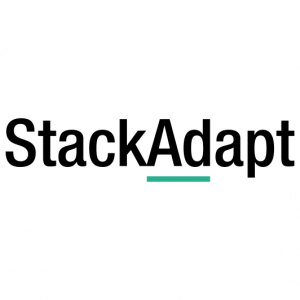 We then use StackAdapt, newsletters, and social to promote this content and increase our reach. 4. Facebook and Instagram Ads: the trick here is to know your audience well and keep the targeting simple. Many marketers add multiple filters to their audience (e.g. 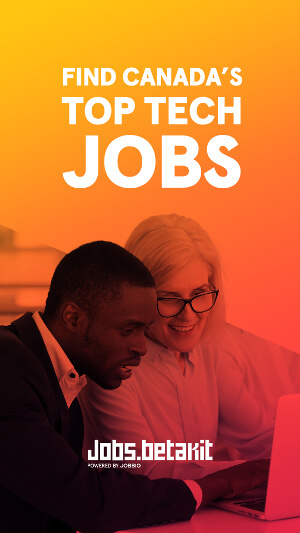 age, gender, location, job title, interests, companies followed), and while this sounds like a good plan in theory, the more filters you add, the higher the CPM you’ll be paying. 5. Affiliate Marketing: we use Growsumo, which is the truest form of marketing automation. You outsource the creation of messaging and imagery to those who make a living marketing other companies to their audience. 1. Intercom onboarding: as mentioned, our onboarding campaign is a series of educational, motivational, and benefit-driven emails that led to a 3x increase in our conversion rate. 2. Facebook and Google display retargeting: Never underestimate the power of spending your marketing dollars on re-engaging existing users. Bear in mind that the cost of acquiring new customers is between five to 25x more expensive than retaining existing ones. Remember to change the messaging of these ads compared to your acquisition ones; educate less and motivate more. 3. FullStory: this is an awesome tool that allows you to record how individual customers navigate your website. You can pinpoint a specific customer and watch a video of their last session (it helps to fast forward)! But the more useful thing to do is to look at your stats and heat maps in aggregate. 4. Survicate: this super-simple survey tool allows you to gather customer feedback and adjust your customer service approach in real time. What unexpected discovery have you stumbled upon this year? In other words, get rid of your ego. Be humble. Let others think they came up with the idea first. Lavish your colleagues with praise. Publicly admit you’re wrong when you were wrong. You need to do these things because they allow you to get more out of your team and other teams, helping you deliver what is right for the customer in the fastest possible way. What do you wish you could do better as a team? Focus more on our company’s branding. It’s hard to devote time to a project that has an uncertain ROI when you’re under 1.5 years old and need to show investors that you have the potential to become a unicorn one day. But we’re in a good place now, so we’ll be putting more emphasis on branding in the coming months. Watch this space! What one piece of advice would you give to other marketers? Does it communicate the benefits of our product (save time, save money, look or feel better)? Does it educate them? Does it invoke a powerful emotion? Does it help them fulfill their personal goals (e.g. career growth)? If the answer to all of these questions is no, you need to re-evaluate your messaging.